There are many home warranty companies in Alabama that offer their services to the owners of single-family homes, townhomes, condominiums, and mobile homes. ReviewHomeWarranties.com will help you find the best Alabama home warranty plan that will cover your home systems and appliances. 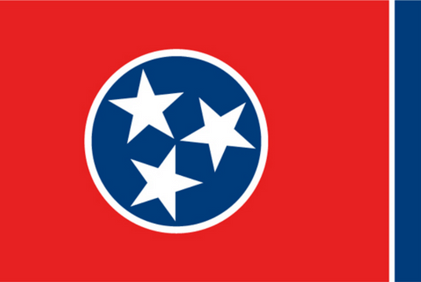 Below we listed top home warranty companies in Alabama. Please read their reviews carefully and select the one that fits you best. 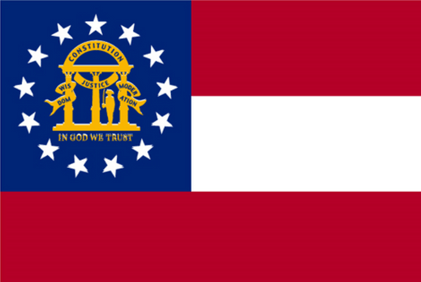 Alabama is a southeastern state bordered by Tennessee to the north, Georgia to the east, Florida to the southeast, and Mississippi to the west. It is the thirtieth largest by area, with a total area of 52,419 square miles and a population a little short of five million people. Alabamians are thrifty people. This is why they buy the best home warranties in Alabama that help them save money on home repairs. Who is eligible for a home warranty in Alabama? 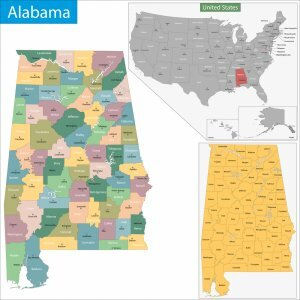 From Birmingham and Montgomery to the smallest villages, the best home warranty companies in Alabama offer their services to the state residents. Almost seventy percent of Alabama residents own their dwellings, and many of them prefer to cover them under a home warranty. The home warranty plans in Alabama are available for single-family houses, duplexes, townhomes, condominiums, and mobile homes. Which home systems may be covered under a home warranty? Most home warranty companies in Alabama cover the following home systems: air conditioning, heating, plumbing, septic, and electrical systems. However, the coverage may differ. For example, Choice Home Warranty covers electrical system up to $500 for access, diagnostics, and repairs, while Pride Home Warranty offers coverage for wiring, service panels, subpanels, switches, breakers, outlets, and ground fault interrupters up to $3,000. Please note that even the best home warranty in Alabama will not cover damage caused by natural forces, such as flood, fire, surge, power failure, or rust. One of the most important things to know before you sign a contract with a home warranty company is the coverage that you will get for your home systems and appliances. Take a look at our research to learn more about different types of coverage and compare coverage in six leading companies. 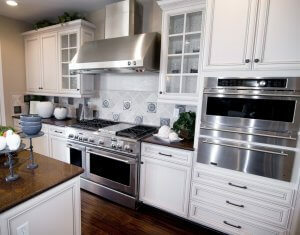 Which home appliances may be covered under a home warranty? The most basic list of home appliances that are covered under a home warranty in Alabama includes refrigerator, stove or oven, built-in microwave, dishwasher, garbage disposal, and washer and dryer. Additionally, the best home warranties in Alabama may include ceiling fans, exhaust fans, central vacuum, garage door opener, whirlpool bathtub, trash compactor, freestanding ice maker, and more. Can I cover home appliances only? Yes, you can. The best home warranty companies in Alabama, such as Select Home Warranty or American Home Shield, offer plans that cover most essential kitchen and laundry appliances. Alternatively, there is a plan that includes home systems only. New homeowners usually prefer to start with these limited plans to get a feeling of how home warranties in Alabama work. More seasoned customers prefer combined plans that cover both home systems and appliances. In case the item that you are interested in is not included in the home warranty plan that you have chosen, there is always a possibility to add more items from the optional coverage list. The best home warranty companies in Alabama usually have an option to include your swimming pool and spa, well pump, sump pump, additional refrigerator, stand-alone freezer, and other items in your coverage. All additional items are priced a la carte. Before you sign a contract with a home warranty company in Alabama, it would be very useful to know which authority regulates its operation. In this case, you will know where to file a claim if things go wrong. 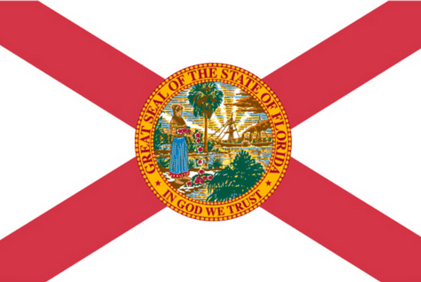 Alabama Department of Insurance provides customer protection and regulates the home warranty industry. According to Chapter 32 of Code of Alabama, all companies that sell service contracts must be registered with the Commissioner of Insurance. Alabamians like home warranties for several reasons. First, a good Alabama home warranty plan preserves their peace of mind. They don’t have to worry about finding a trustworthy repair company when something breaks in their house as their home warranty will do it for them. The best home warranty companies in Alabama offer 24/7 customer service and have emergency repair teams. Second, the best home warranties in Alabama help the homeowners save money on repairs and replacements of their home systems and appliances. While choosing a home warranty plan, look at the coverage cap. This is how much money the company will pay for repairs per contract term. Last, but not least, as real estate agents in Alabama noticed, those houses covered under a home warranty are sold faster and at a better price than the houses without a home warranty. This happens because the new homeowners would also like to preserve their peace of mind and save money in the case that something breaks. We have collected information on various home warranties that work in Alabama, and we hope that these best home warranty reviews for AL will help you make the right choice.